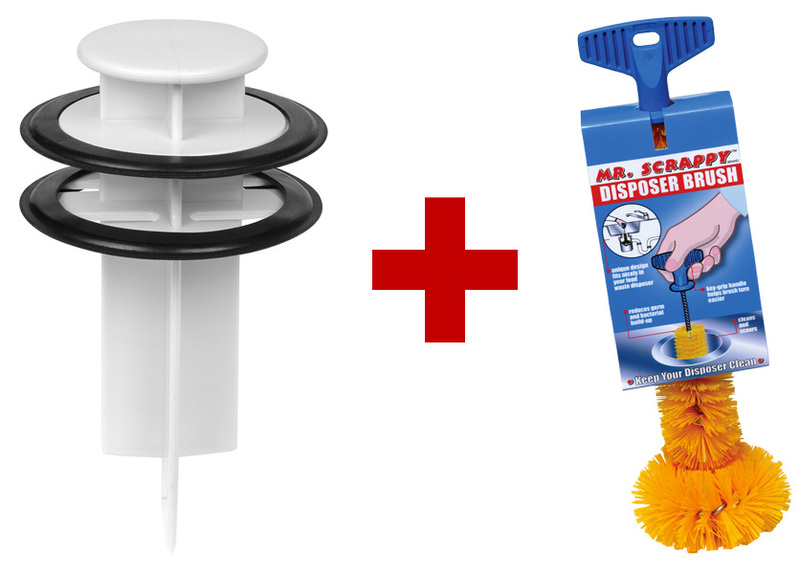 We've put together a 2-Part Accessory Kit to help you - Use, Clean & Protect your Food Waste Disposer. 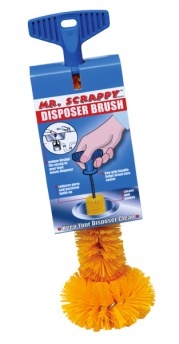 A convenient and easy to use brush to keep your disposer clean. 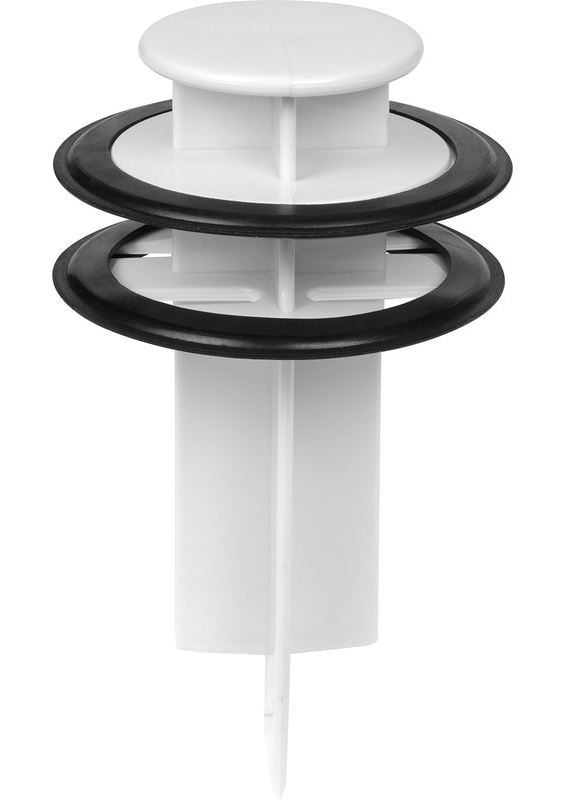 The unique design of the brush fits any food waste disposer and cleans areas you cannot see or reach. Additional features: Unique design fits nicely in your food waste disposer. Key grip handle helps brush turn easier. Reduce germ and bacterial build-up. Cleans and scours. 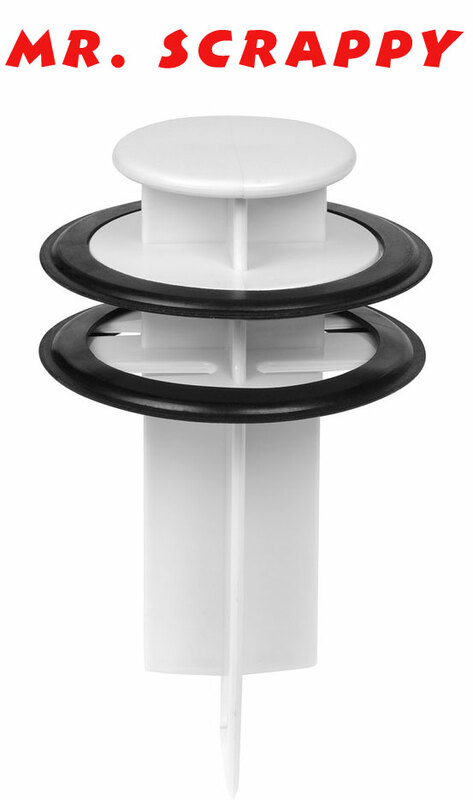 Low cost multi-purpose disposer tool that functions as a handy scraper to remove food from plates and a plunger to push the food into the disposer. It also functions as a stopper to plug the drain opening and when not in use, it acts as a cutlery guard, keeping silverware and other small items from falling into the disposer, while allowing the sink to drain.